The latest news coverage, opinion and information on Second Amendment rights and gun control. The Second Amendment states "a well regulated Militia, being necessary to the security of a free State, the right of the people to keep and bear Arms, shall not be infringed..."
Add the brief but tragic odyssey of Sol Pais to the story of Columbine High School as Colorado prepares to mark the 20th anniversary of the infamous school shooting. In the days after a teenager shot and killed three fellow students at Ohio’s Chardon High School in 2012, then-Principal Andy Fetchik remembers getting a call from someone who knew just what he was experiencing. New Zealand’s Parliament on Wednesday passed sweeping gun laws that outlaw military-style weapons, less than a month after mass shootings at two mosques in the city of Christchurch left 50 people dead and dozens wounded. A Texas gun company that destroyed more than 73,000 bump stocks when a federal ban on the rapid-fire devices took effect has sued the U.S. government claiming millions of dollars in losses. The U.S. Supreme Court on Friday denied an application from gun-rights advocates to delay the Trump administration’s ban on bump stock-type devices, which took effect on March 26. A judge on Thursday dismissed a lawsuit filed by the Florida sheriff whom Gov. Ron DeSantis suspended after accusing him of failing to prevent the Parkland school shooting. The House passed Democrats’ new version of the Violence Against Women Act on Thursday, rejecting Republicans’ pleas to restore quickly the old law which expired earlier this year. The head of the federal Bureau of Alcohol, Tobacco, Firearms, and Explosives will retire at the end of April, handing the long-beleaguered agency some fresh uncertainty after nearly four years as its acting director. Police say a man was trying to abduct a child at a mall when the mother stopped him by pulling out a gun. A federal appeals court in D.C. on Monday ruled that a lower court was correct in denying a preliminary injunction that would have blocked the Trump administration’s ban on bump stock-type devices. Mayor Eric Garcetti tweeted Sunday that Grammy-nominated and widely respected West Coast rapper Nipsey Hussle was killed outside his Los Angeles clothing store. Democrats will insist on new gun controls as part of their push to renew the Violence Against Women Act, House Speaker Nancy Pelosi said Thursday. The Supreme Court left in place the Trump administration’s new ban on bump-stock firearms devices, moving Thursday to reject attempts to halt the policy by gun-rights groups who said their Second Amendment rights were being prematurely stripped. The community of Parkland, Florida, is focusing attention on its suicide prevention programs after two survivors of the Florida high school massacre killed themselves in a week. Also Monday, police in Connecticut said the father of one of the 20 children slain at the Sandy Hook Elementary School shooting in 2002 was found dead in an apparent suicide. Gun-rights advocates mounted a last-ditch effort Monday to block a federal ban on bump stock-type devices from going into effect Tuesday, saying owners of the devices should be given a temporary reprieve to avoid waking up in violation of federal law. Gun-rights advocates are mounting a last-gasp push to block the Trump administration’s bump-stock ban from taking effect Tuesday, saying hundreds of thousands of Americans could suddenly find themselves violating federal law absent action from the courts. States where rural communities are embracing Second Amendment protection measures include New Mexico, Colorado, Illinois, Nevada, Oregon and Washington, raising the hackles of Democrats who champion sanctuary cities for illegal immigrants but draw the line when it comes to firearms owners. The New Zealand government’s vow to pass stiffer gun laws in the wake of the Christchurch mosques massacre has produced a run on gun stores, especially benefiting military-style semi-automatic weapons, before any new bans or restrictions can pass. The Connecticut Supreme Court on Thursday said a lawsuit challenging how Remington marketed the rifle used in the December 2012 Newtown school shooting can proceed, overturning a lower court’s outright dismissal of the case. Legislation allowing adults to carry a concealed handgun without a permit or training has been signed into law by Kentucky Gov. Matt Bevin. A woman was escorted from the Connecticut State Capitol building after someone spotted her writing a text that said she wanted to “blow away” a Republican lawmaker and National Rifle Association members during a public hearing on gun control Monday. Prosecutors say Coast Guard Lt. Christopher P. Hasson was poised to become one of the worst mass murderers in U.S. history — yet all they have charged him with is possessing a synthetic opioid and owning an illegal gun-silencer. Two rural Nevada sheriffs are citing the Second Amendment and one is invoking the specter of Nazi Germany in vowing not to enforce a strict new gun background check law just approved by the state Legislature. States that have fewer restrictive gun laws on average see more mass shootings, according to a new study published Wednesday from Columbia University’s Mailman School of Public Health. President Trump has failed to convince Americans of the need for his border wall emergency declaration, according to a new poll Wednesday that found they oppose his move by two-to-one. Legislators sent a bill to expand background checks on private gun sales in New Mexico to the governor’s desk Monday for certain approval after a bruising series of debates and objections from county sheriffs across much of the state. Police departments across the country increasingly are turning to simulators as training tools to replicate real-world scenarios without real-world costs. Wayne LaPierre, the executive vice president and CEO of the National Rifle Association, told conservative activists on Saturday that New York Gov. Andrew Cuomo “hates” the gun-rights group and vowed to continue pushing back against the state’s treatment of the NRA. Rep. Debbie Dingell told colleagues Thursday her father had a mental illness and a gun — and said the combination made her fear for her life when she was a child. Republicans scored a rare victory in the Democrat-controlled House Wednesday, winning a vote to have authorities notify deportation officers any time an illegal immigrant tries to buy a gun. More than 75 percent of the people who received gun license revocations last year in Illinois ignored the notices, Illinois State Police said. Colorado Democrats launched another campaign Thursday to pass a “red flag” gun law - an effort backed by many top law enforcement officials to allow weapons to be seized from people who are determined by a court to pose significant risk. A Coast Guard officer suspected of drawing up a hit list of top Democrats and network TV journalists spent hours on his work computer researching the words and deeds of infamous bombers and mass shooters while also stockpiling weapons, federal prosecutors said Thursday. 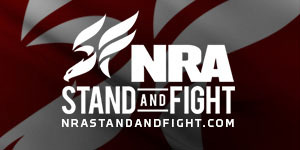 President Donald Trump and Vice President Mike Pence will address NRA members at the NRA Institute for Legislative Action (NRA-ILA) Leadership Forum on Friday, April 26, 2019 in Indianapolis, Indiana. This is the second consecutive year that the president and vice president will speak at the NRA-ILA Leadership Forum. NRA Life of Duty Special Frontlines Report "Filling Government's Void"
See the best and most influential handguns ever made. Photographs from the National Rifle Association's 142nd Annual Meetings and Exhibits in the George R. Brown Convention Center in Houston, Texas. Do mass shootings such as Newtown and Aurora distort the national gun-control debate?